Providing exceptional service and expertise to Cape Cod Residents. Carl F. Riedell & Son opened during a time when many people were struggling. As the Great Depression raged, Carl F. Riedell worked alongside his wife, Ethel, to start a family business. Their dedication to providing the best products, expert workmanship, and exceptional customer service helped their business thrive and grow. Before long, they were offering their services throughout Cape Cod. 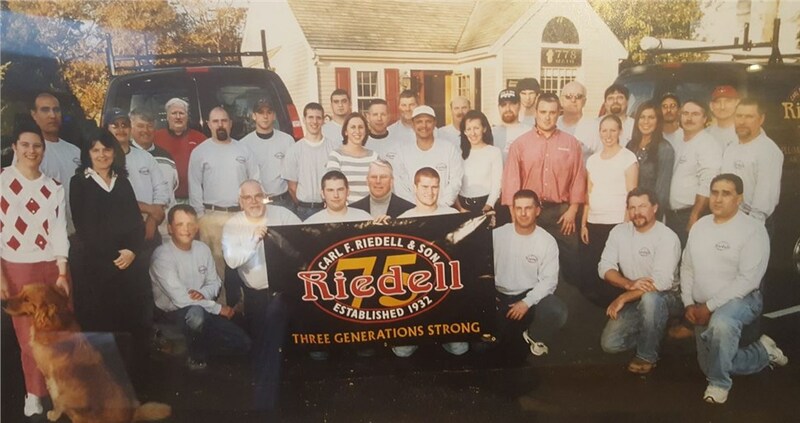 Today, that tradition of excellence goes on as Riedell continues to provide reliable plumbing, heating, air conditioning, and water filtration services. The times have changed, and the team at Riedell makes sure to adapt to the ever-changing technologies and techniques in the business. What have stayed the same are our customer-first philosophy and our commitment to keep our promises. If we say it, we’ll do it! That’s how we’ve kept our family-owned business going and are now Three Generations Strong! Carl F. Riedell & Son works all year, so we’re available to handle property management, winterization, and much more. Learn more about what we can do for your Cape Cod home or business! Give us a call today, or get in touch by filling out our online contact form. Contact us today to receive a free, no-obligation estimate for your next HVAC, plumbing, or water filtration project! Family-owned and operated, we have been in operation for more than 87 years.